Kevin Durant left Oklahoma City to start over in the blue and yellow pastures of the Bay Area. But when it comes to his location in the sneaker industry, starting over is something he wasn’t ready to do. In the Summer/Fall of 2014, KD was in the middle of an exceedingly tense bidding war between Nike and Under Armour as his contract with the Swoosh would expire. Over the years, Durant proved to be one of the most marketable athletes in footwear, with annual sales of his footwear exceeding nearing the quarter billion dollar mark in the United States alone. Retaining KD’s services was a major priority for Nike. Under Armour, on the other hand, was looking for its first-ever bonafide basketball superstar. Steph Curry had signed with UA a year prior to that bidding war, but he didn’t quite reach his level of elite stardom until the following season. In hindsight, pairing KD with Steph would’ve been even more monumental for the Baltimore-based brand. It was reported that Under Armour gave KD an incredibly lucrative offer that included a community center bearing his mother’s name. 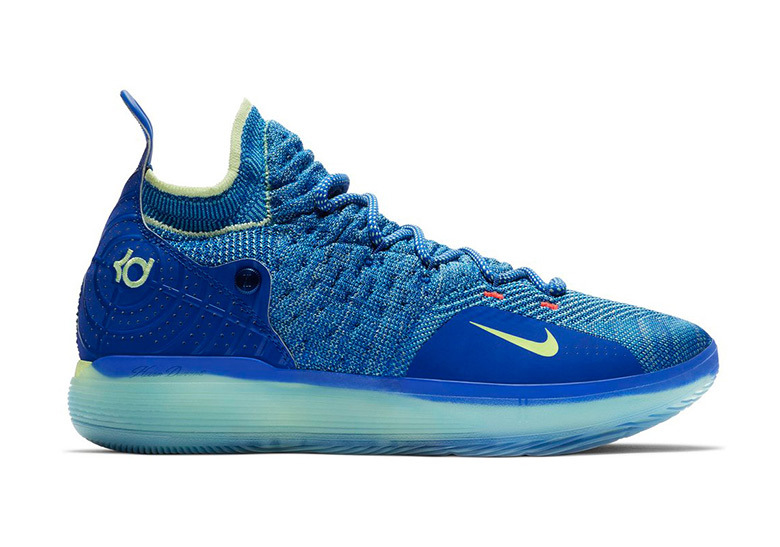 In the end, Durant ended up staying with Nike thanks to a massive 10-year $300 million contract; three and a half years later, KD and Nike have released three more signature shoes with a fourth, the KD 11, about to hit stores. Durant told ESPN that he “didn’t want to start over” by joining Under Armour or adidas, and at the time that made total sense. Despite his level of stardom and marketability, joining UA would have entailed new product, a new narrative, and a slight re-branding to fit Durant’s style. adidas was also not a major player in the basketball footwear market, but it was never a serious contender in this bidding war. Since that massive signing, sales of basketball shoes have steadily decreased due to waning appeal of performance footwear in the casual market. Still, KD’s shoes are the third best-selling in the market, falling between LeBron James and Kyrie Irving. Truthfully, leaving Nike may not have done much to change this destined outcome.